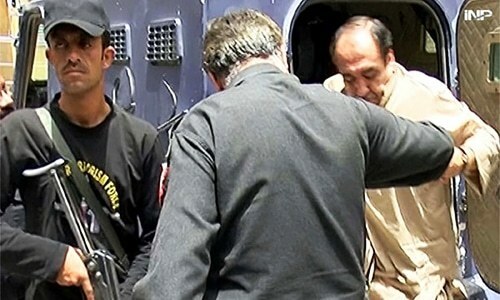 A court on Monday indicted Balochistan MPA Majeed Khan Achakzai in the case of a police sergeant killed in a traffic accident in Quetta in June this year. Sessions Judge Rashid Mehmood framed charges against the accused, to which Achakzai pleaded not guilty. The case was heard amid tight security. 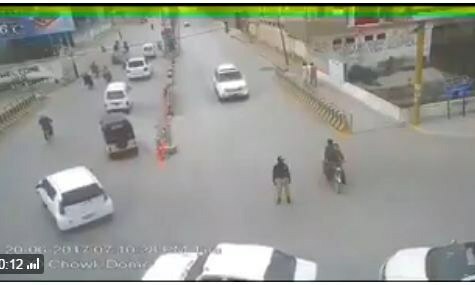 The Balochistan MPA allegedly ran over traffic sergeant Haji Attaullah on June 21. The police initially lodged a first information report (FIR) against unknown accused. Achakzai was arrested after a video of the accident went viral on social media. The judge on Monday also ordered the witnesses in the case to appear before court in next hearing. The accused was also produced before the same court in another murder case. However, witnesses in the case could not appear before the court today. Subsequently, both cases were adjourned until September 27. He should be hanged, period. If not, than forget about the rule of law forever. I saw the video and will be surprised if he is let go. I wish he gets the same fate. But can't predict law of our land. Everyone understands why witnesses don't appear before court. what witness do you need more than the video on killing and driving by this insane man. Money talk and poor walk. This Minister killing innocent people, police kept a blind eye. Police chief should also be put in jail. " The police initially lodged a first information report (FIR) against unknown accused. Achakzai was arrested after a video of the accident went viral on social media." People need to use cell phone more frequently to put corrupt people and murderers in jail. The savage behavior of these ruthless politician and tribal leaders is getting unbearable for the nation and the institutions. Thumbs up Pakistan. There should be a capital punishment. Also, the family of the deceased is being threatened. Where is police? It as either a DUI Or mobile phone interupted driving , As the application of breakes as after impact , which means the driver was 1. busy 2. intoxicated 3. ent to sleep So what so ever rules apply but the most important of all Was he licenced to drive and was this viehcle leagal to be on the road. He will be freed after following our outdated legal system and all its rules and regulations. We all will see that as we have seen this injustice in other such cases and will continue to see this until one of us become a victim of such crime and then no one will raise voice or better do something practical to ensure justice is upheld. We are certainly doomed as a nation. No hope!